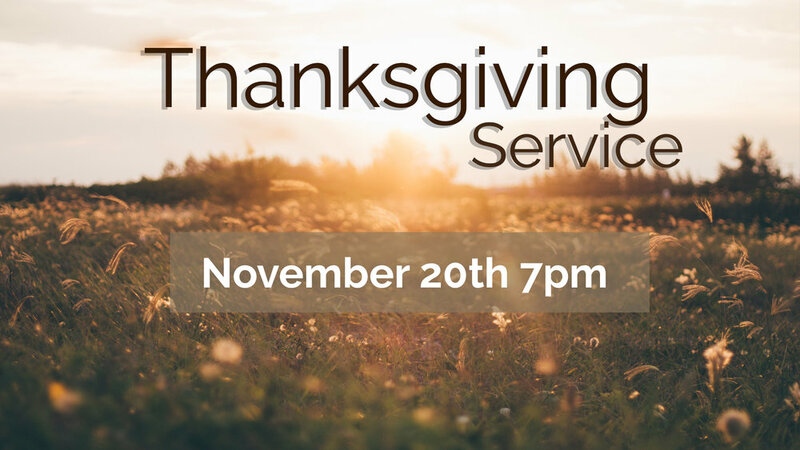 We’d love for you to join us for a time of singing, a message giving thanks to our Lord, and fellowship! If anyone whose name (first, last, middle, or nickname) has one of the letters from “T-H-A-N-K-S-G-I-V-I-N-G” in it then please bring bar cookies to share! Also if you'd like to volunteer with setting up the goodies and cleaning up then please let Alyssa (alyssa@anchorbiblechurch.org) know!